If you’re after a little taste of Scandinavia, Fika Swedish Kitchen is the most authentic café I’ve found. It began life in June 2013 when owners Linda Stanes, Diana Chirilas and Sophie Zetterberg who missed the food and traditions of their home country, found a location in one of their favourite suburbs, Manly. The laneway is slightly off the beaten track and Diana says that’s a feature of some of Sweden’s best cafés. Linda has fifteen years of hospitality experience in restaurants in Sweden, Canada and France. Diana and Sophie work as graphic designers and are responsible for building the FSK brand from the café’s interior to the signage and web presence. In order to gain the authentic feel, they have constructed FSK around the two biggest influences of a Swede’s life: the ‘city life’, and the ‘summer house life’. With its modern fixtures and light timber and colours, the main interior of the café represents the city aspects including posters of contemporary well-known Swedish brands. The rear of the café is more about quaintness; recycled windows, a bathroom that is reminiscent of a home instead of a commercial space, bird house and other touches. You can expect the interior to continue to evolve as inspiration is sparked. Greeted by the unmistakable accent of the staff, you’ll feel less like a visitor and more like a Swede yourself. Try to ease yourself towards your table as you drool over the kanelbullar (cinnamon buns), muffins and Farmor Ellys äppelpaj (grandma Ell’s apple pie). 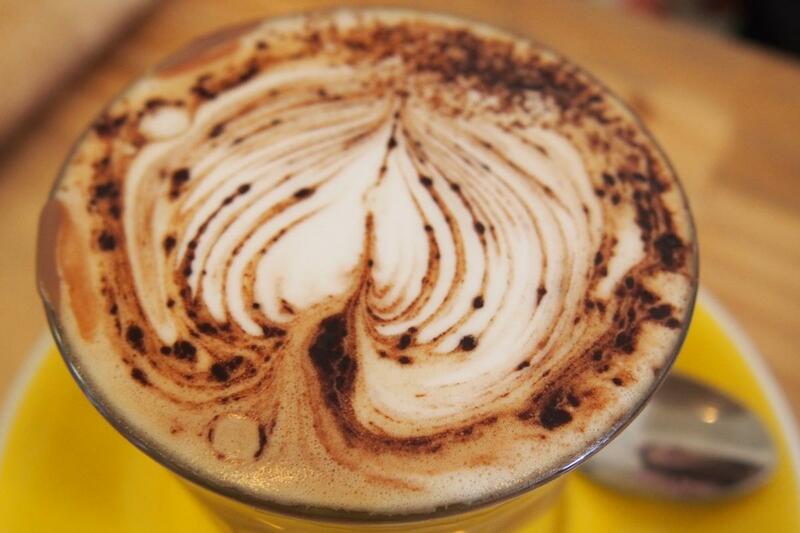 You’ll definitely be coming back for something after breakfast! 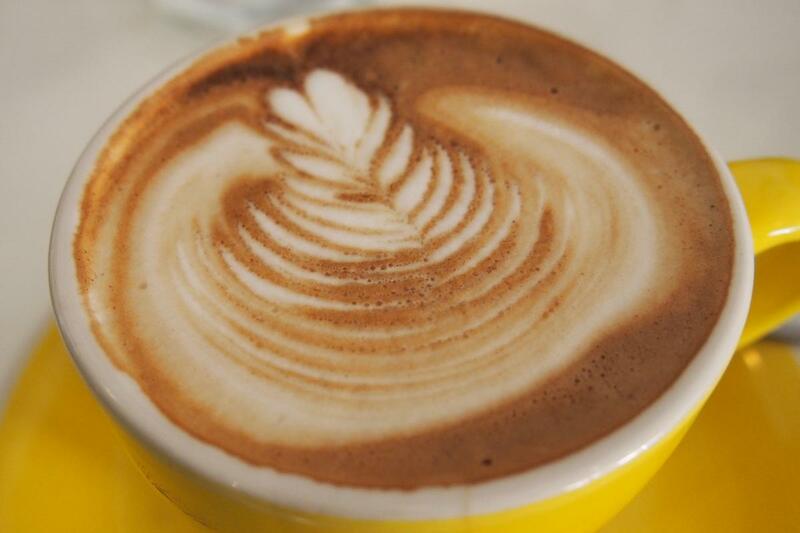 Having previously worked at Campos, Linda is well aware of the quality of their coffee. Any reader would know its distinctive flavour so it’s definitely a great choice. 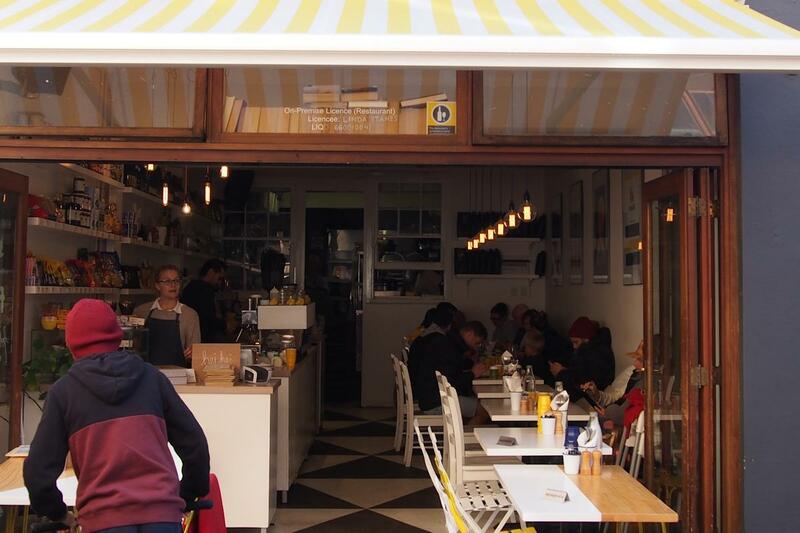 And if you’re in the area, FSK is now the only location in Manly that serves Campos. 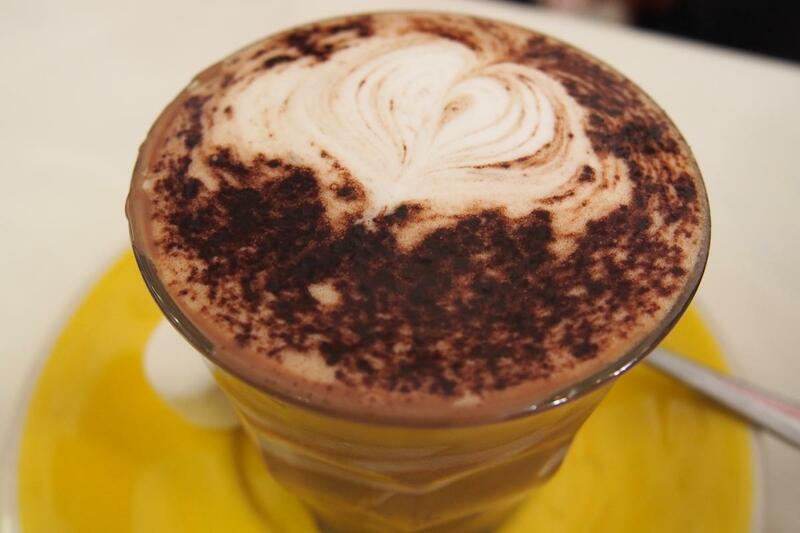 Cups are $3.50 but if you’re something a bit richer, the mocha ($4) is prepared with Belgian chocolate or you can have a whole glass of hot chocolate ($3.50). 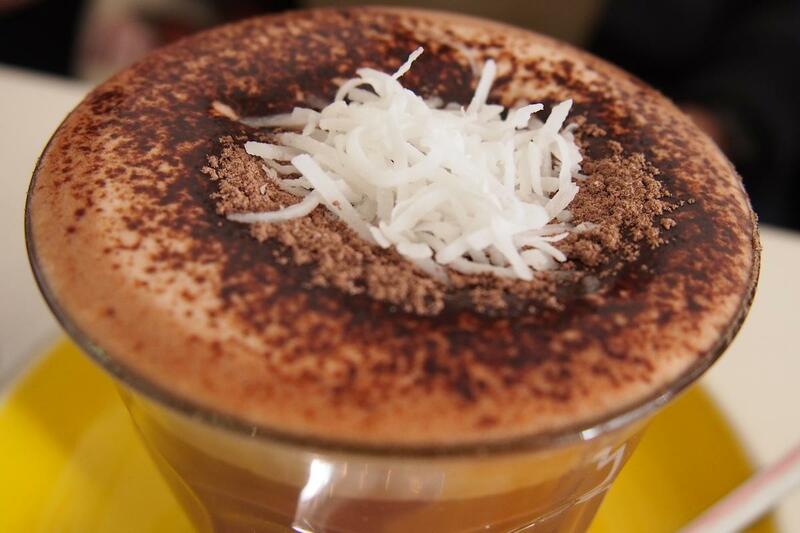 A current special is dark chocolate with coconut milk ($4). All drinks featured chocolate of fantastic flavour. Even melted, the quality was evident. The Bryggkaffe ($3) is popular with guests who want to try a Swedish brew. Diana remarked that it’s a bit weaker than espresso and they plan on introducing a cold brew version shortly. Cold pressed juices ($7.50) in a variety of mixes are on offer such as carrot, apple, orange, pineapple, lemon and tumeric or banana, filtered water, coconut, kale, spinach, pineapple, mango, limi and kiwi! Make your way passed the beer, cider and wine page of the menu to get to the food! The Scandanavian influence is unmistakable from the choice of ingredients to the languages used. 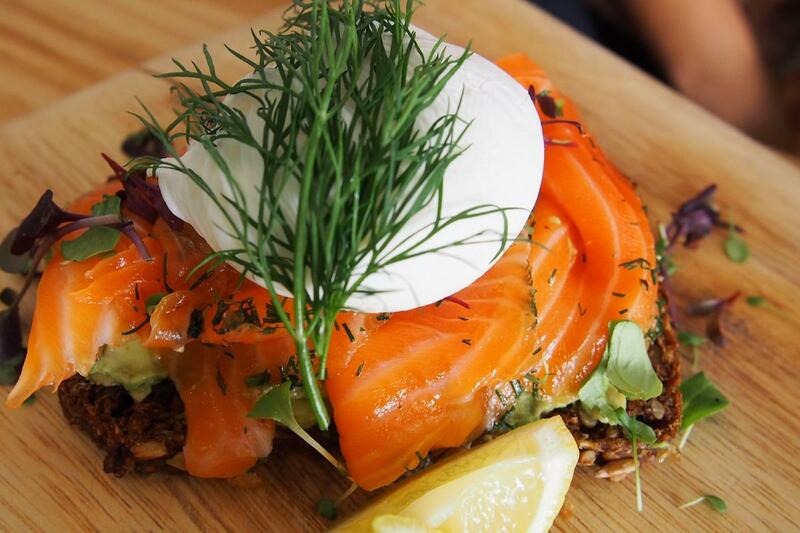 The salmon lover ($17) starts at the base with a dark rye bread ubiquitously found on breakfast and brunch tables in Sweden. I love the flavour and denseness. It’s topped with smashed avocado, thick slices of house-cured salmon and a poached egg that was cooked perfectly. 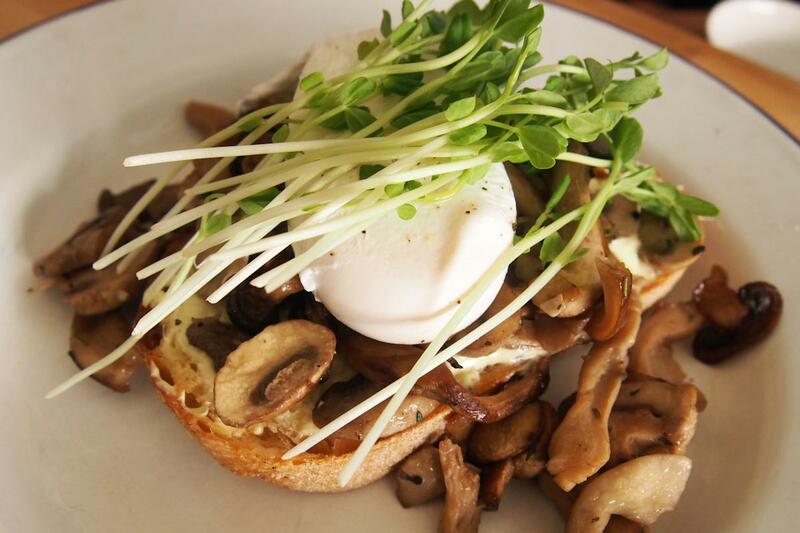 No prizes for guessing what the sautéed mushrooms ($16) consists of! The variety of forest mushrooms were lightly fried and paired with a horseradish cream. I prefer more depth to my dishes however my guest was extremely happy with his choice and the flavour of the mushrooms. Another authentic element of FSK is how particular they are about presentation. Every plate or board looked exquisite and mine was a prime example. 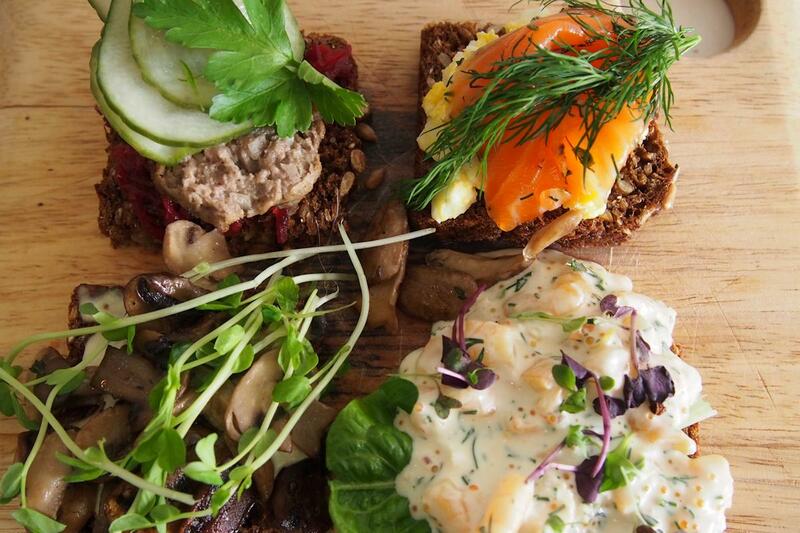 The smørrebrød ($20) is a great way to sample a variety of different flavours from the kitchen. All served on dark wholemeale/rye, the four offerings are meatballs and beetroot relish, gavalax and smashed egg, sautéed mushrooms and skagen mix (prawns). Care had been taken with each element from the house-pickled cucumbers, to the finely sliced beetroot, to the microherbs on top of the prawns and orange caviar. The prawns are the only cold main topping and I recommend this dish as the best way to sample a variety of flavours on offer from the kitchen. I already plan on returning for the thin pancakes with forest berries, cream and house made jam ($16) and the bacon and egg roll with homemade beetroot relish ($10). If you enjoy sweet dishes, the dessert and pastry section of the menu will definitely have plenty to offer. Diana remarked that “people might be a little hesitant to [try] a few of the ‘stranger’ dishes such as fish roe (Kalles Kaviar) with smashed eggs on crisp bread for breakfast, but as soon as they taste it they seem to love it.” The focus with this food is less on spices and more on herbs and sauces. Australian will know most of the flavours on the menu but the unique dishes are my recommendation. This entry was posted in Sydney - North Shore and tagged Disabled access, Dog friendly, Fresh fruit and vegetable stores close by, Outdoor seating, Parking close by. Bookmark the permalink.